Grace has been described as something God gives to us that we don’t deserve and certainly could never earn by even our best works (Ephesians 2:8-9). It is a totally free gift that is unmerited and unearned. The only thing we brought to the cross were our sins. Yet God loved us while we were still His enemies (Romans 5:10). 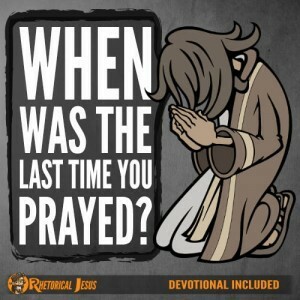 Nothing we did and nothing we could ever do would earn God’s forgiveness. How could anyone put a price on the blood that Jesus shed on the cross and for the suffering that He endured during His crucifixion? It is beyond human comprehension to even fathom how great a price this was. Why then do we struggle with giving or being generous to others, who like us don’t deserve it. What if Jesus reacted that way before going to Calvary? How do you react when you hear someone got off from a crime that you know they committed but had to be released because of a technicality in the law? If you’re like me, it makes you really mad. Well, we received the forgiveness of our sins when we didn’t deserve it either. I know it’s not the same thing, but we were pardoned when we deserved God’s judgment, and we didn’t get off on a technicality either because God knew our hearts and we had no good excuse and no good cause to be forgiven, except for God’s mercy. Mercy has been described as something where we don’t get what we really deserve: God’s punishment. Jesus took the punishment we deserved when He deserved none of it. 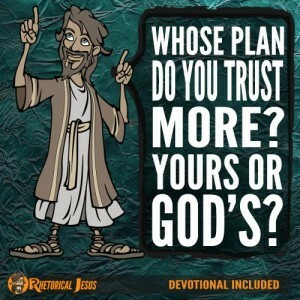 If we have trusted in Him, there is no more condemnation for us (Romans 8:1). So why do we struggle to give more because we feel someone else does not deserve it? I am glad Jesus didn’t feel that way. We are told to forgive others just as we have been forgiven (Ephesians 4:32). Since the Lord has forgiven us, we are obligated to forgive others and to bear with one another and live with a forgiving attitude (Colossians 3:13). Jesus said that if we will forgive others who sin against us, God will forgive us because we’ve sinned against Him (Matthew 6:14). It is a glorious thing to overlook the offenses of others (Proverbs 19:11). We have been forgiven so much more than we could ever forgive others in a million lifetimes. 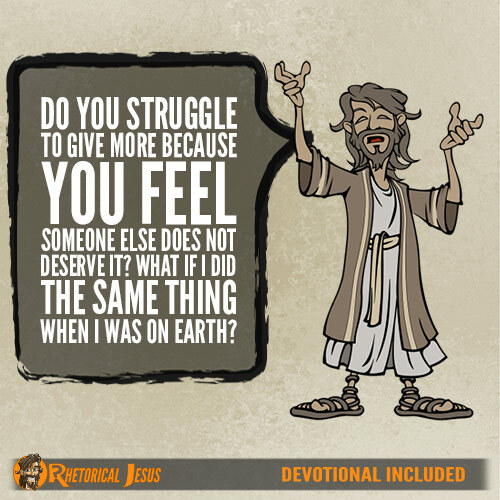 So my question to you and me is this: Do we struggle to give more because we feel someone else does not deserve it? 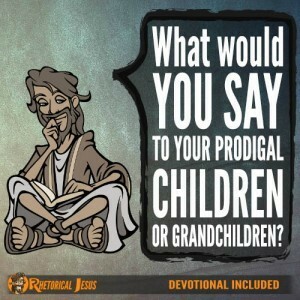 Now think about this: What if Jesus had done the same thing when He was here on Earth? Father in heaven, forgive me for the times I’ve not been forgiving of others. There is no way I should not be willing to forgive others so much less for all the greater sins that I have committed against You, a Holy God. In Jesus’ precious name, I pray for Your forgiveness.